One of the easiest way to determine pressing plants for RCA Victor’s later 78s and early 45s and LPs is from subtle clues in the label design. Victor revealed them in the Standardizing Notices pictured below in 1947 (for 78s) and 1950 (for 45s). For 78s, the clues lie in the concentric rings, and their spacing relative to the circled RCA logo; for 45s, in the placement of a double hyphen within the upper text circle. “Canonsburg” refers to RCA’s auxiliary plant in Canonsburg, Pennsylvania, which opened in 1947. In 1950 it was converted to a 45-only plant, then was closed in 1953. Indianapolis text above, which is unclear on the original, reads: “Two concentric circles nearly touch small RCA circle. All with uncredited orchestras and conductors. Discographical data are from the original Gramophone Company files, courtesy of the late Dr. Alan Kelly. The O’Neill-James Company of Chicago issued this Busy Bee cylinder list in 1906. 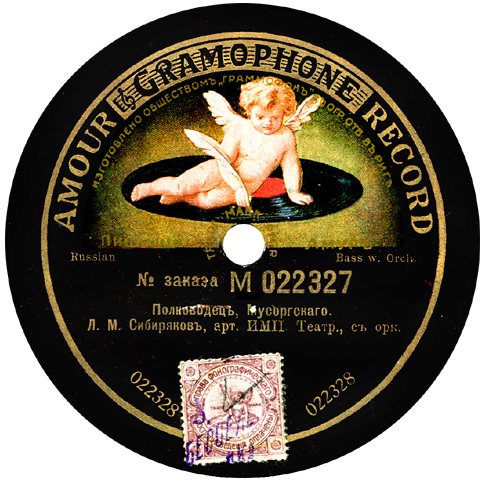 The records were manufactured for them by the American Graphophone Company (Columbia), and — as many unsuspecting collectors have discovered — the inner taper was altered to prevent use of the records on standard phonographs. They fit only specially modified Busy Bee machines (which were also Columbia products), a classic example of a tied-goods premium scheme. A detailed history of O’Neill-James and the other Chicago premium-scheme operations can be found in A Phonograph in Every Home, available from Mainspring Press and many major libraries. All of the records listed here are two-minute molded cylinders. Some specimens are known that use the old “brown wax” formulation (as did some of Columbia’s molded Oxford cylinders). That’s led some collectors to assume, incorrectly, that they’re brown-wax–era “originals,” rather than XP-era molded records; but in fact, they’re just examples of the ever-frugal Columbia using up obsolete stock. Some masters were recorded specifically for Busy Bee, as is indicated by the use of the name in the spoken announcements, and these are of the most interest to collectors, since Busy Bee is the only confirmed form of issue. Other Busy Bee issues are confirmed as having used use the same recordings (but not always the same takes) as the corresponding titles on Columbia XP cylinders. Most of these lack spoken announcements, or have announcements that give only the title and artist, with no company mentioned; but examples are known that slipped through with the tell-tale “Columbia record” announcement. There are a couple of pitfalls to be aware of in using this list. First, some composers’ names appear in the list instead of artist credits. And second, in some cases the artists listed do not match who is heard on reliably reported specimens, meaning that alternate recordings were used on occasion and/or someone slipped-up in preparing the catalog copy.